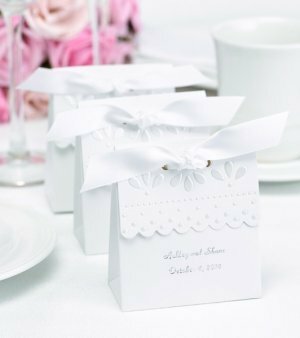 These elegant white favor boxes are embossed with a floral and dot design and accented with a pretty fold-over scalloped edge. Measuring 3 1/2" tall by 3 1/4" wide, each box comes with a white satin ribbon to tie it closed. 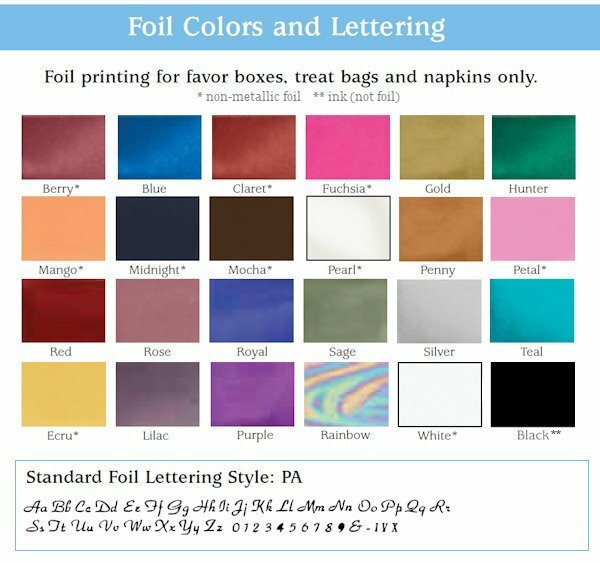 The boxes can be personalized with your names and wedding date as shown, or 2 lines of text that can be customized to fit your event. Boxes are sold in a set of 25.